Main Hoon Tera Hero song lyrics were penned by Kumaar for the film Hero (2015) . 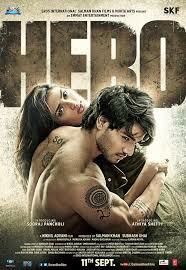 Hero film is making in Hindi language by the director Nikhil Advani and producers Subhash Ghai & Salman Khan. The title song Main Hoon Tera Hero was composed by Amal Mallik and Salman Khan sang this song. Sooraj Pancholi & Athiya Shetty in lead roles.